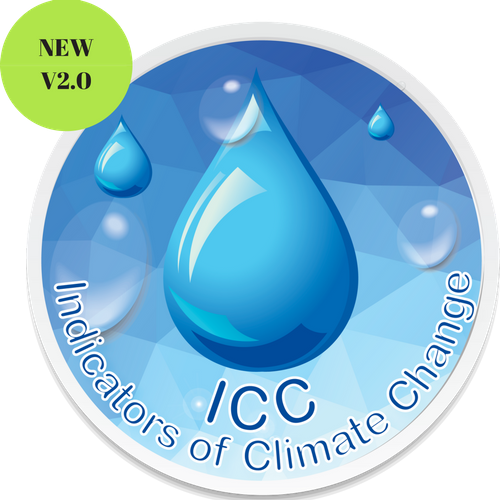 Climate change indicators are intended to be mathematical elements (indexes) used to identify, record, learn and make clear climate change. Some are related to extreme values of temperature and rainfall. Calculate indicators of climate change by the Intergovernmental Panel suggested handling millions of daily data of temperature and precipitation in seconds. The indicators of climate change using daily data are useful for identifying possible damage or bring benefit climate change, such as change on cold nights, warm nights, cool days, hot days, simple indices daily intensity and very humid days, among others. Once calculated the climate change indicators, it indicators could be correlated with agricultural production, with the migration of wildlife species, with the productivity of livestock, with possible changes in the phenology of plants, with aspects of human health, with forecast disaster risk, etc. If you work in the public sector with ICC you can make better decisions about prevention of the population in both measures of human health, and agricultural, livestock and forestry matters and in all those areas where the weather is a factor important. If you are doing research with ICC you could manage millions of climate data in seconds, and you could write many articles or make your thesis in less time. If you are an independent professional (consultor), now you could address climate change issues without being an expert on the subject but knowing ICC you could make better decisions and suggest better recommendations.